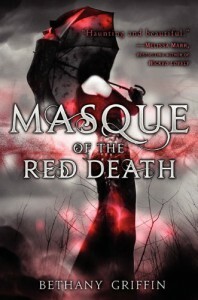 Masque of the Red Death - Lis Les Livres- Read Books! 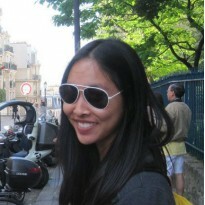 http://lisleslivres.blogspot.com/2012/10/review-masque-of-red-death-by-bethany.htmlI like Edgar Allan Poe's work. Yes, he definitely had his issues,but he could write some cool stories.This book has some elements of Poe in it, but it had its own story too. Obviously, the there's a plague as well as death in the story. But we have ourselves a classic love triangle as well. I personally preferred Will over Eliot. Eliot was too radical, trying to start a revolution, for me. I liked Will because of his devotion to his family despite his bad boyish persona. Even though I liked him better, I didn't fall in love with either too much. I don't think the characters in this one are very strong, but the idea of the book is just so cool that they can be compensated for.I will admit to being confused over what time period this takes place. It seemed like it was another of the dystopian futuristic genre that I'm kinda getting sick of. With the population decimated from the sickness, it also seemed like a post apocalyptic. But then the characters were riding in carriages. Well, at the book signing that included Bethany Griffin, Aprilynne Pike, and Elizabeth Norris, it was discovered that the setting is the past, Poe's time period.I enjoyed this one. I will definitely read the next. Some people will like it, but those really into Mr. Poe may be offended at the thought of this book.Completely off topic, but this book's cover art is the best I've seen in a while. The lettering in the title is foiled and shiny. If you look carefully, the image on the front looks as if it was shattered. I'm glad I got a physical copy of this one.